SINGLE USE PLASTICS - This is just a small sample of the plastic packaging that you will find in retails stores all over the world. A good proportion of this packaging - around 8 millions tons a year, will end up in our oceans, in the gut of the fish we eat, in the stomachs of seabirds and in the intestines of whales and other marine mammals. Yet plastic has many uses in our modern society and cannot easily be replaced. For example, PET is a very energy-efficient packaging material. Although its raw materials are derived from crude oil and natural gas, it enjoys a very favorable sustainability profile in comparison to glass, aluminum and other container materials. Its sustainability jumps even higher when recycling is introduced, since approximately 40% of PET's energy use is attributable to its "resource energy" - the energy inherently trapped in its raw materials that can be recaptured and reused through recycling. The high strength of PET in comparison to its light weight is a major key to its energy efficiency, allowing for more product to be delivered in less packaging and using less fuel for transport. Ongoing advances in light-weighting technology continue to improve its energy efficiency even further. Life cycle studies of PET have consistently confirmed the environmental benefits of PET as a packaging material. Copyright photograph © 22-7-17 Cleaner Ocean Foundation Ltd, all rights reserved. The PET Industry has experienced phenomenal growth in the last 10 years, to a degree that has seen the output of PET bottle manufacture double in this period. Consequently, the industry at large now boasts combined production figures in excess of 120 billion units worldwide. Such growth can only occur if there is robust infrastructure to support well orchestrated efforts that have supply meeting demand. Strange as it may seem though, this industry is still somewhat adolescent to a certain degree. It is forever developing and with the prospect of emerging markets looming on the horizon, full potential is yet to be realised. In an age of environmental concern, PET is a preferred material for packaging worldwide because of its recyclability. 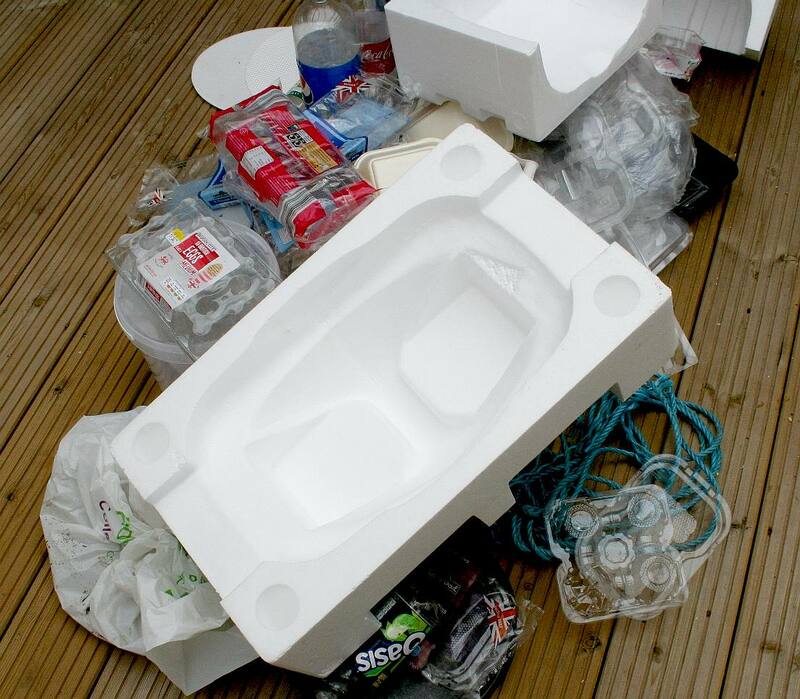 The ability to recycle is much improved where the PET container in question is made entirely from PET as there are then no contaminants in the PET entering the recycling process as with a separately attached handle container. 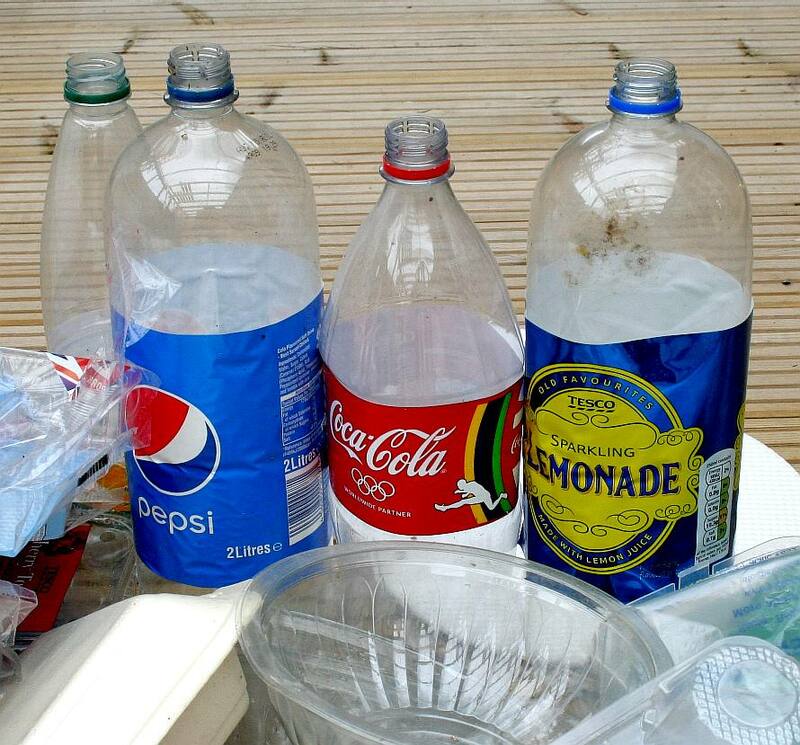 The main issue with PET soft drink bottles is when they enter the oceans as marine litter. As yet there is no effective way to recover such waste for recycling, though it is a business in its infancy that provides an income for those bounding the South Atlantic and Indian Oceans. For example, if ocean cleaning dustcarts were deployed effectively by way of a SeaNet, even plastic in the ocean could be recovered in an acceptable way that environmentalists would find difficult to argue against. Unfortunately, we are at least ten years away from that ideal in terms of technology readiness. PET or Poly Ethylene Terephthalate is a light weight, durable plastic with excellent clarity and recyclability benefits. PET is the only material other than glass that has sufficient barrier properties to successfully contain ambient juice and carbonated beverages. 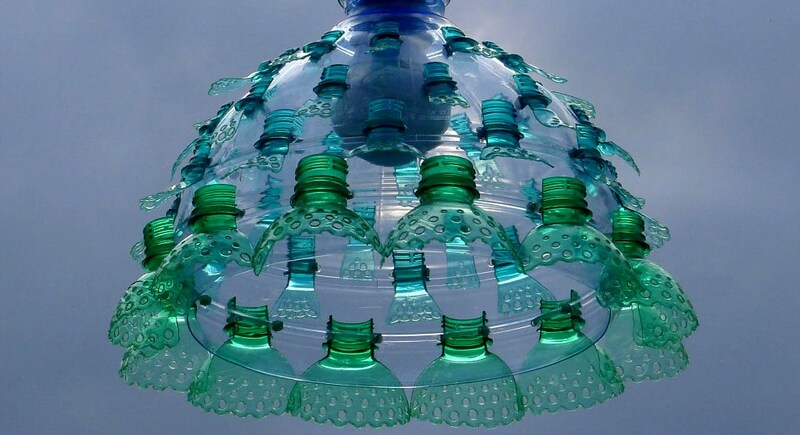 ART - Czech artist Veronika Richterová uses the near indestructible nature of plastic PET bottles to her advantage. By snipping, twisting, and heating the drinking vessels, she forms long-lasting sculptures that visually mirror the qualities of glass. This similarity inspired her series of PET luminaries, a project composed of fully functioning light systems in the form of chandeliers and lamps. 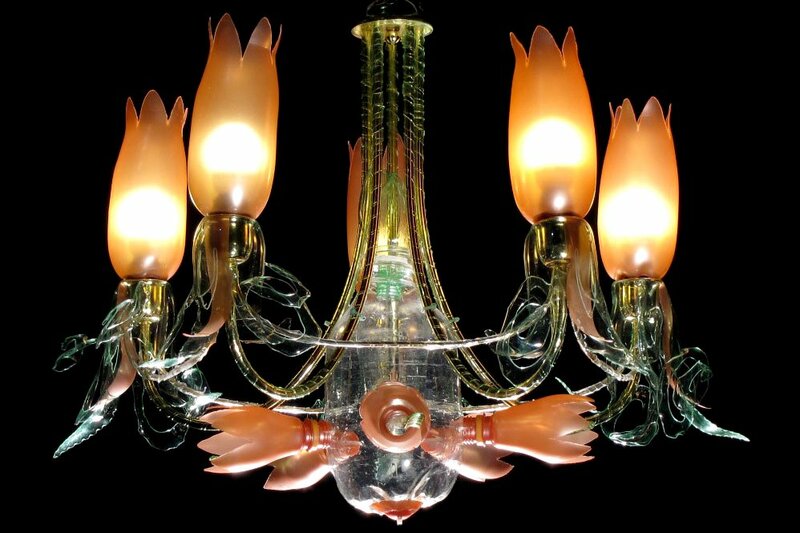 The included works are decorated with tulip-shaped light bulb covers, scalloped edges, and long, twisted segments of recycled bottles that imitate electrical cords. In order to protect these heat-sensitive sculptures, Richterová installs her works with bulbs and cables that produce minimal heat. PET RESIN ASSOCIATION - PET is approved as safe for contact with foods and beverages by the FDA and health-safety agencies throughout the world. The safety of PET for food, beverage, pharmaceutical and medical applications has been repeatedly demonstrated through extensive studies, regulatory approvals, testing, and its widespread acceptance for more than 30 years. 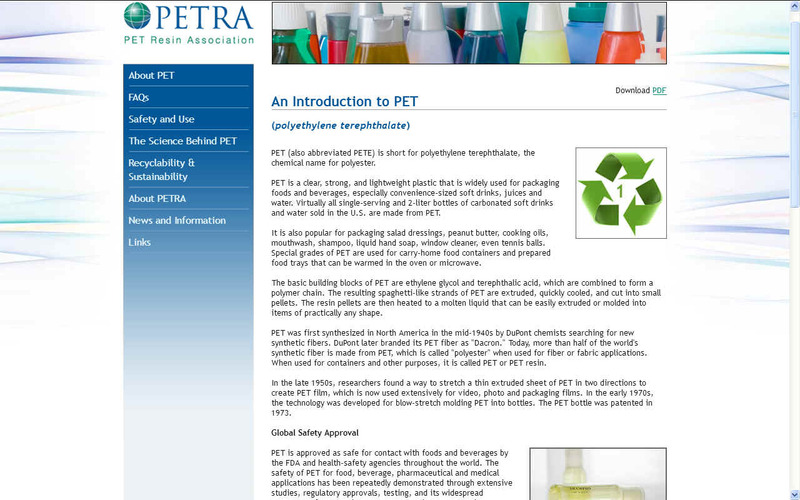 PET does not contain bisphenol-A (BPA) or phthalates (plasticizers). Because of PET's unique properties, it is rapidly becoming the world's preferred packaging material for foods and beverages. Like glass, it is a very strong and inert material that does not react with foods, is resistant to attack by micro-organisms, and will not biologically degrade. But unlike glass, PET is extremely lightweight, easy and efficient to transport, and shatterproof. 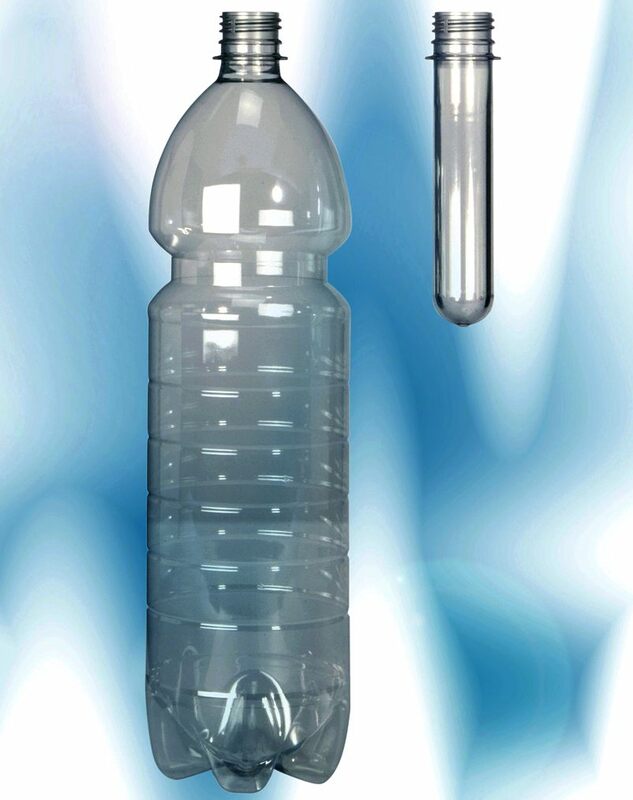 Plastic bottles made from PET are widely used for soft drinks. For certain specialty bottles, such as those designated for beer containment, PET sandwiches an additional polyvinyl alcohol (PVOH) layer to further reduce its oxygen permeability. PET is a commodity plastic. RECYCLING - PET is completely recyclable, and is the most recycled plastic in the U.S and worldwide. 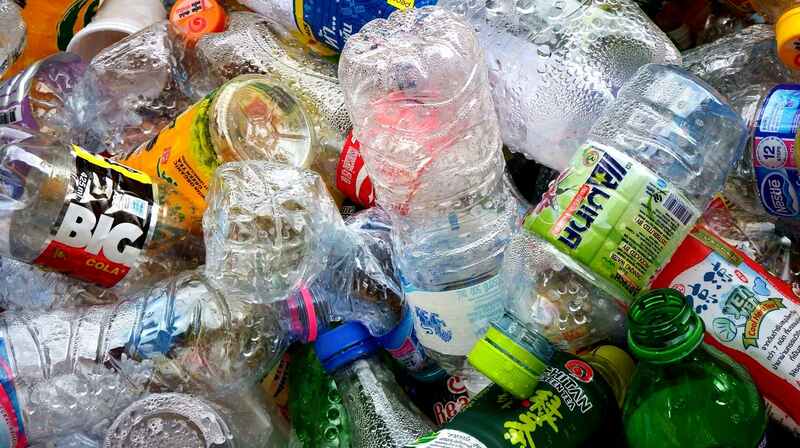 More than 1.5 billion pounds of used PET bottles and containers are recovered in the United States each year for recycling. 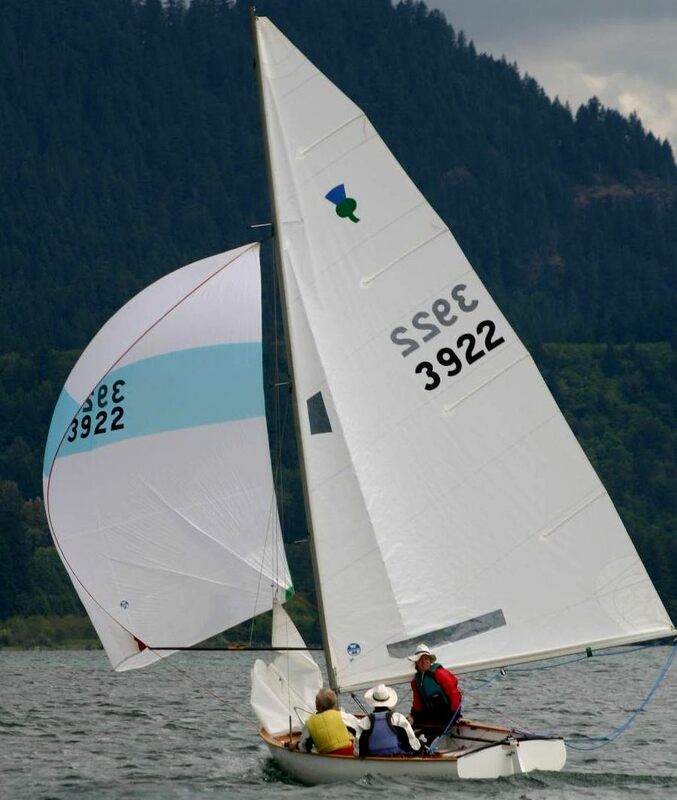 PET can easily be identified by the #1 in the triangular "chasing arrows" code, which is usually found molded into the bottom or side of the container. No other plastic carries the #1 code. PET - can be commercially recycled by thorough washing and re-melting, or by chemically breaking it down to its component materials to make new PET resin. Almost every municipal recycling program in North America and Europe accepts PET containers.